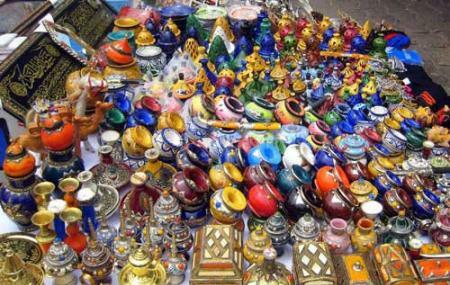 The New Medina Area is known more for its souk like markets than the medina itself. The streets are flooded with shops that sell spices, local good and street food flank its sides- a local gourmet heaven in itself. Tourists and locals alike love to visit the place in the evenings. Do use your GPS on the phone as the bylanes tend to be confusing. Hire a cab to reach the market area. How popular is New Medina Of Casablanca? People normally club together Phared'el Hank and Musee Abderrahman Slaoui while planning their visit to New Medina Of Casablanca.